South Africa is going through a transition period of “Growth“ over the past few years, which can be both painful and stressful, but necessary, to ensure a better future for all. One of the consequences of this growth is that the Corporate Sector is being severely affected and so corporate companies do not entertain as much as they used to do in the past due to today’s economic restrictions. At TIGGER 2 Charters we believe that spoiling our Employees and Clients still contributes to more successful results in these very competitive and difficult times. It is a small investment that can give rise to a much better result at the end of the day with an year end function your clients and employees will never forget…aboard the Tigger 2. 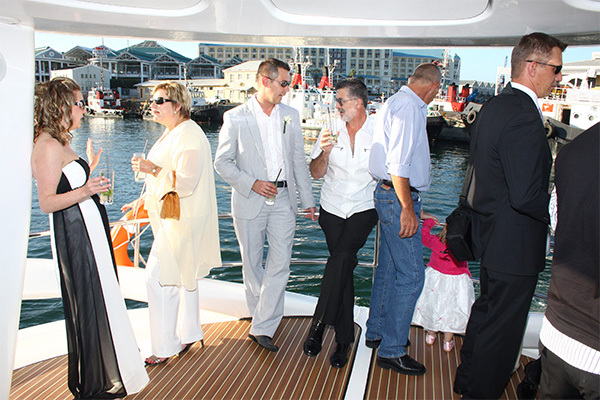 Our luxurious and elegant cruiser, The “TIGGER 2 Royale“ will take you straight to Clifton 4th Beach, or depending on the weather conditions on the day, to Table Bay while our team will cook, prepare and serve your meal for you and each of your guests. Please book and secure your slot to avoid disappointment. 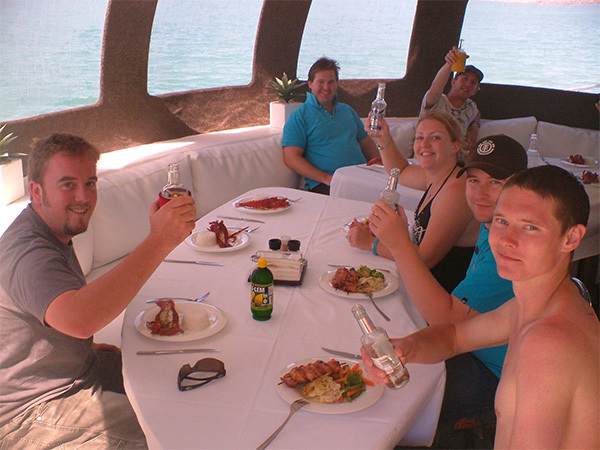 ALL OUR MORE FANCY/ ELABORATE LUNCH OR DINNER CRUISES are still available for you to choose from over here but please check our RATES as well on the web site.